Rice can be fluffy when steamed, creamy in a risotto or spicy when in a slow cooked meal. This variety definitely makes weekly meals more interesting. But how can you make white rice, an authentic risotto or even a slow cooked meal in one appliance? 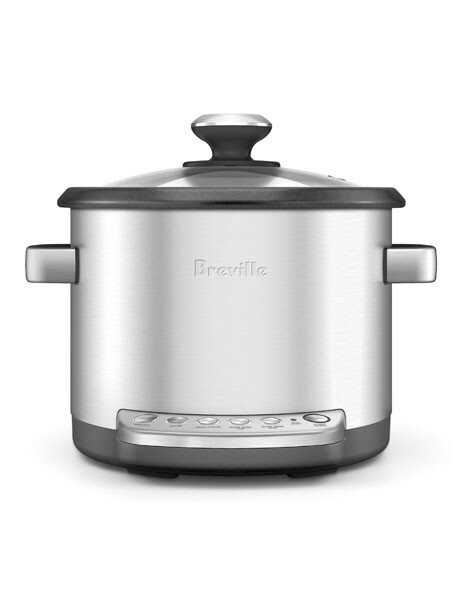 Breville's Multi Chef is an advanced multi-cooker that can make tender slow cooked meals, stir-free risotto, fluffy rice and quinoa all in the same cooking bowl. Also with a saute/sear setting, it allows you to caramelise and brown all your lovely fresh ingredients.